Enjoy Easter Sunday lunch with the whole family at The Exchange. We’re putting up a Lamb Roast special for the occasion. Vegetarian option available. From 1pm, the kids can get involved in our Easter Egg hunt. 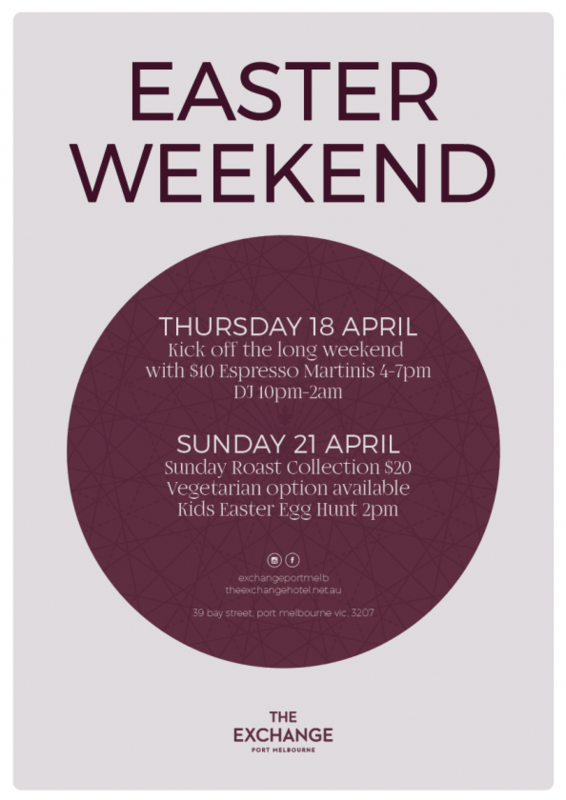 Plus, kick off the long weekend on Thursday 18 April with $10 Espresso Martinis from 4pm-7pm & live DJ from 10pm-2am. Note: there will be no DJ Friday or Saturday night on the Easter long weekend. Keep up to date with the latest news and venue updates from The Exchange Hotel.